The US Department of Agriculture’s Food Safety and Inspection Service has recalled a variety of raw turkey products after a salmonella outbreak. With Thanksgiving coming next week, many people are looking to buy a turkey for the big meal. 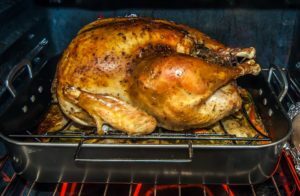 Thankfully, most of the recalled products include ground turkey, so your holiday bird is most likely fine. Salmonella infection is a serious problem that can cause death if you leave it untreated. Annually, there are over 1.2 million salmonella cases in the United States. Here is more information about the recall and vital information you need to know about salmonella. When testing different turkey products, research has found the bacteria in ground turkey, turkey patties, live turkeys, and even pet food. In response, the USDA and CDC are working closely with the industry to investigate and prevent further contamination. Salmonella bacteria live in the intestines of people and animals. In fact, most instances of contamination come from exposure to feces. A wide variety of foods can come in contact with the bacteria through a variety of ways. Meat and poultry can come into contact with it during the butchering process, and infected chickens can contaminate their eggs before the shell even forms. Even fruits, vegetables, and seafood can come across the bacteria if farmers use contaminated water. You can even introduce the food in your home to salmonella if juices from raw meat drip onto your counter and other uncooked foods touch it. You are more likely to encounter this bacterial infection if you travel internationally, especially in developing countries with poor sanitation. This is especially dangerous because some forms of salmonella can cause typhoid fever, which can lead to death. You are also more likely to come in contact with the bacteria if you own birds or reptiles as pets. In response to the salmonella outbreak, the CDC recommends that everyone be extra careful when handling raw turkey. Be sure to thaw it in the refrigerator instead of on the counter, wash your hands after touching it, and cook it thoroughly. There are several ways you can avoid salmonella as well, which we will describe below. Wash your hands. Doing this will prevent any contamination from your hands from spreading to your mouth or other foods you are preparing. Make sure you wash your hands after using the restroom, changing a diaper, handling raw meat, touching reptiles or birds, and cleaning up pet feces. Keep foods separate. Another to prevent infection is to keep any cross-contamination from happening. This means that you should store raw meat away from other foods in your fridge and use two cutting boards for meat and non-meat products. After cooking meat and poultry, do not place it back on a plate or in a container where you stored it when it was raw. Avoid raw eggs. This means that you should avoid all raw cookie dough, homemade ice cream, and eggnog that contains raw eggs. If you must consume it, make sure it is a pasteurized product. Thankfully, most healthy people that come in contact with salmonella will get over it naturally within a few days. Symptoms include nausea, vomiting, abdominal cramps, diarrhea, chills, and headache. If the symptoms are severe or you become dehydrated, go to the doctor to prevent the infection from getting worse. Make sure you stay safe this holiday season and follow any recall instructions. The holidays are meant to be spent with your loved ones, and you should not have to do that from the hospital.